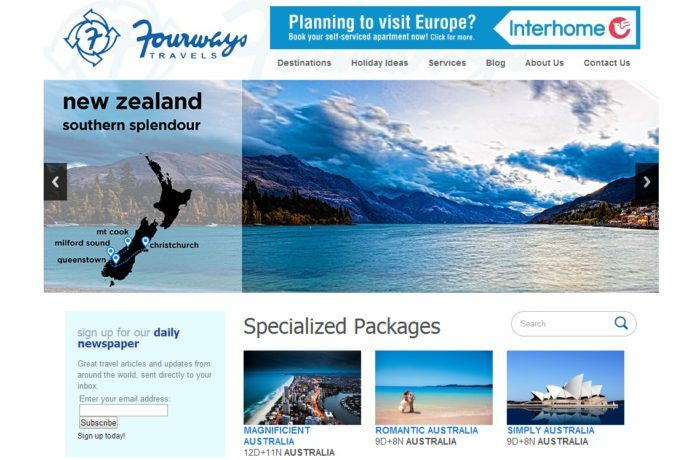 Fourways Travels Pvt Ltd is a travel company that specializes in both corporate and leisure travel. As a brand, they needed a revamped look and feel to their website, social media management and maintenance; and someone to bring in brand consistency into their communication. With a fresh look and feel, Guru designed and developed a current and new-age website using HTML5, PHP, CSS3 and JQuery. The brand’s social media set up and maintenance features talking points on travel developed by the team for their digital eco-system, featuring imagery that follows a template created for brand consistency. In addition, Guru also helps create evangelists through an influencer strategy.